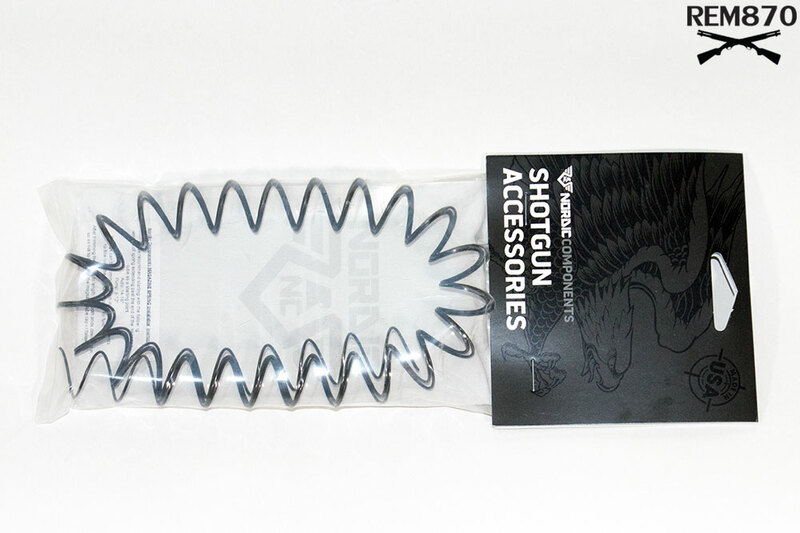 Both Wolff Gunsprings and Nordic Components magazine springs work well and are very well made. But there are some differences between them too. I have measured 2 new springs right out of the package and they were a little longer than advertised. The Wolff magazine tube spring was 41 inches long and the Nordic magazine tube spring was 50 inches long. Wolff Gunsprings have XP springs. XP means Extra Power and they are designed to have approximately 15-20% extra power over the original factory springs. They also have springs which are trimmed to fit into your Remington 870 shotgun. There are springs for 3-5 and 6-7 round magazine tubes. 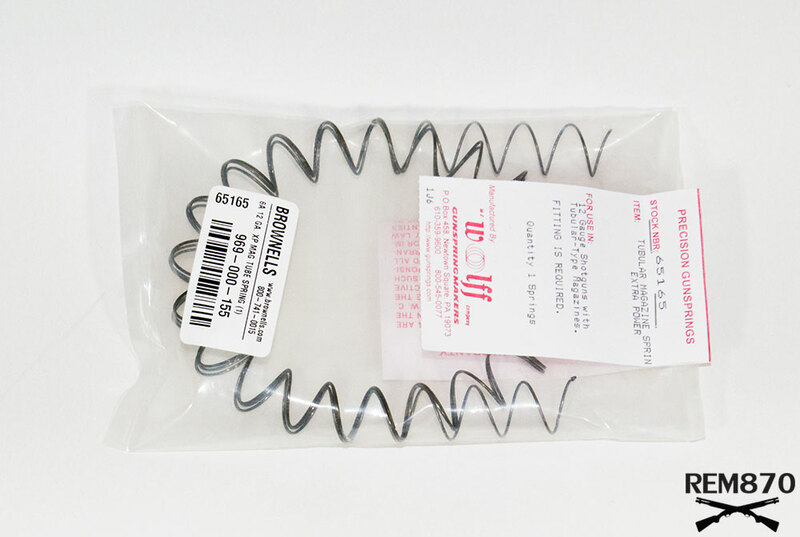 These magazine springs are shorter than general magazine tube springs but have higher prices. So, I recommend getting the universal spring and cutting it to the proper length. We’ll talk about finding the proper length of the magazine tube spring later. Nordic Components has universal springs of two types: 45″ and Heavy Duty 50″. The Heavy Duty spring requires less free space than the standard strength spring. You may be surprised that both companies manufacture and sell long magazine tube springs. 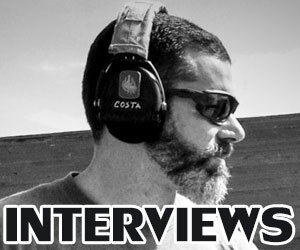 The reason is very simple; competition shooters use shotguns with very long magazine tubes. 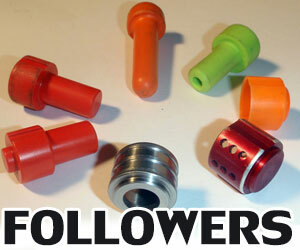 They are used in 3-Gun and IPSC (USPSA, Practical Shooting) competitions. 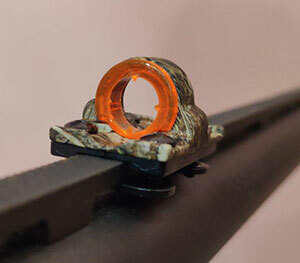 Many competitive shotgun shooters have magazine tubes with the total capacity of 12 rounds or more. That is why they need very long magazine tube springs to ensure proper feeding. How do you find out if you need to replace a magazine tube spring? The most common problem of a weakened magazine tube spring is that it doesn’t feed when the spring doesn’t have enough power to push the next round into the carrier. Usually, that happens with the last rounds in the magazine tube. 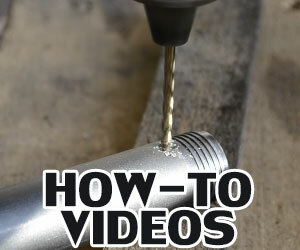 How to find the proper length of the spring for your magazine tube? That is correct for most shooters. I recommend having the maximum recommended length available. But make sure that it won’t take up priceless magazine space. Check to see if you can load as many rounds as you could with the old spring or if you can load as many rounds as the magazine tube extension is supposed to add. Please note that the spring will become shorter (“settle” down) after some use, so make it a little longer than needed. How to trim a magazine tube spring for competitions (3-Gun, IPSC, USPSA)? The shorter the spring, the easier it will be to load a magazine tube. But don’t make the mistake that many newbies make by cutting it too much. Yes, it will make it much easier to load the magazine tube but it will also make the shotgun less reliable. If the magazine tube becomes dirty, the magazine spring will become less effective and the chances of it malfunctioning will grow. Also, remember that the magazine spring settles down over time and use. That is why I recommend being careful when trimming the magazine tube spring. What is the shotgun extension spring’s lifespan? The magazine spring will settle and weaken over time. The more compress/decompress cycles you make, the weaker it becomes. Cheap springs have a very short lifespan. High-quality springs from the Nordic Components and Wolff Gunsprings have very long lifespans and will be in good working order, even after thousands of cycles. 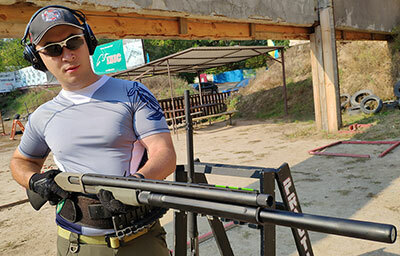 If you are not a professional shooter which trains on a daily basis, then one spring will serve you well for years. Professional shooters which dry fire and train to load their shotguns at least 30-60 minutes a day will usually replace their magazine extension springs on a regular basis. Can you leave a shotgun with its magazine loaded? Is it safe for the magazine tube spring? It is not recommended to load a shotgun to the full capacity and then leave it for long periods of time. If you want to store your shotgun while it’s loaded, at least don’t load it to the full capacity. That will prevent it from settling down. If you store your shotgun while it’s loaded, then it is recommended to unload it on a regular basis. That way, the magazine tube spring will be decompressed regularly and will serve you longer. 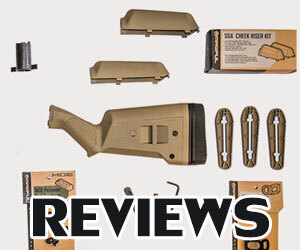 Which magazine spring to choose: Wolff Gunsprings or Nordic Components? Both manufacturers make very good and high-quality springs but I prefer Nordic Components. They are used by most competitive shooters around the world. Shooters which use their shotguns for competitions usually shoot more often and they use their firearms under all possible weather conditions. In other words, they really use their firearms as hard as possible. Also, Nordic Components springs have a black protective coating. 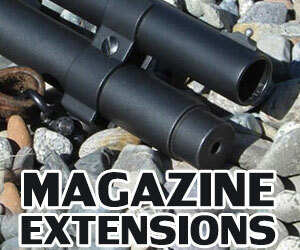 The 45″ extension spring is going to fit most of the shotguns. 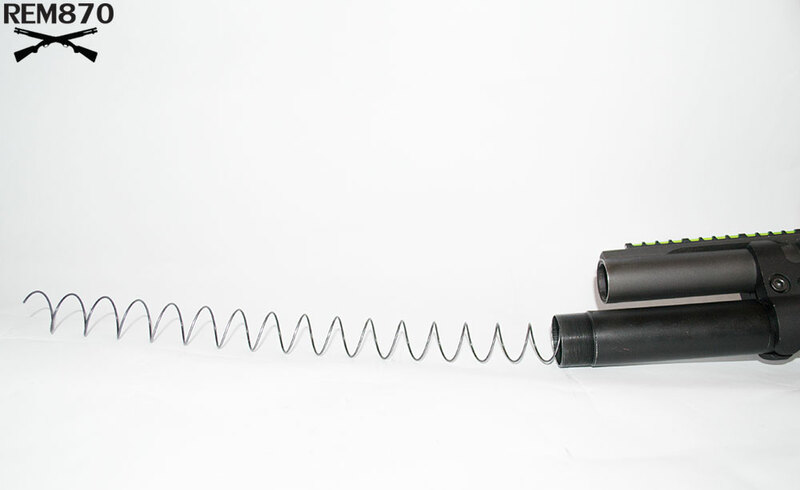 You may need the Heavy Duty 50″ spring only if the capacity of your shotgun is more than 12 rounds. 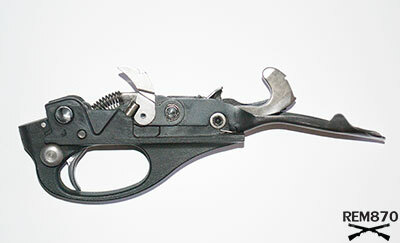 Wolff Gunsprings magazine tube springs are well known amongst shooters. They make high-quality springs which work very well. So, actually you can’t go wrong with both manufacturers.